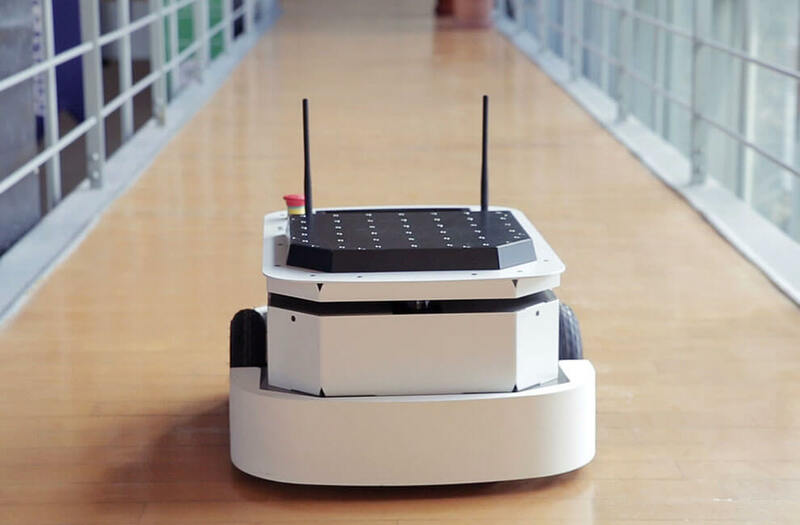 MRP2 is offered to the users ready for programming with advanced features which incorporates all the features that a researcher can expect from a mobile robot platform. The computer on the robot is easily accessible and software development can be done quickly. 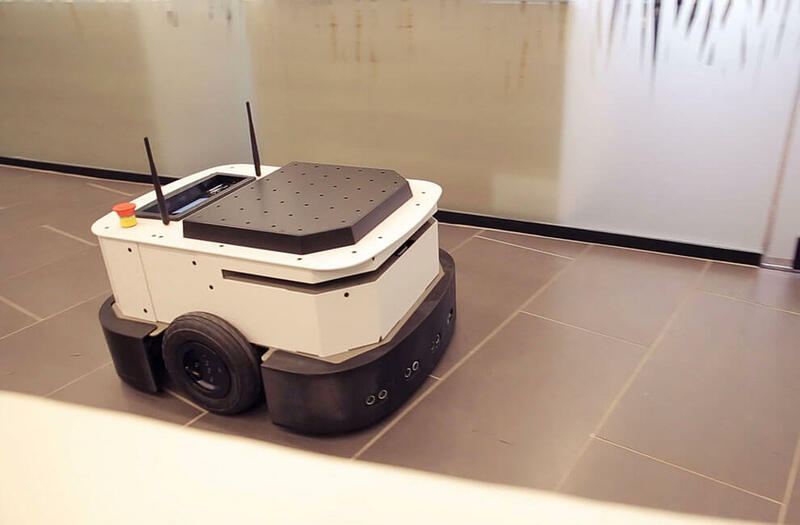 The robot can easily do mapping with its already available navigation software and can position itself on the map with a few centimeters accuracy. MRP2, with its powerful hardware and software infrastructure, enables users to make developments quickly and comfortably. ROS is pre-installed and configured. Simulation model is ready for Gazebo. Supports Open Source. You can choose and buy your MRP2 robot customized depending on your applications. Can perceive its environment via different sensors like laser, ultrasonic, inertial sensors and cameras. Has robust chassis design and can handle large payloads with its compact size. 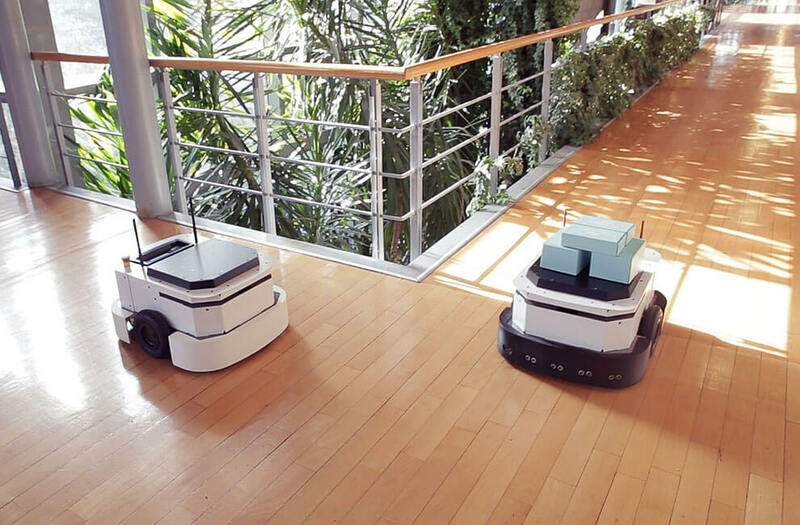 We, as robot experts, are here to support your application even in your facility. You can teleoperate the robot with a joystick. Additional hardware can be mounted and integrated easily using mounting holes and connection ports. Autonomous navigation package is configured and ready to use out-of-the-box. Robot can operate 12 hours in normal usage without interrupting your research. Have more processing power or storage area with upgraded PC choice. With spare battery you can continue your research without waiting for a recharge time. Add vision capability to your MRP2 with compatible camera and mounting hardware. Create better maps with LIDARs having more range and high precision. 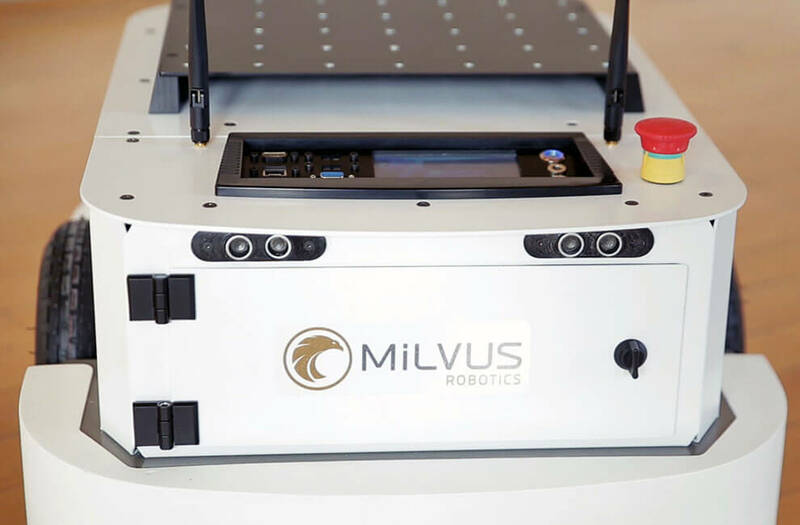 © 2018 Milvus Robotics. All Rights Reserved.